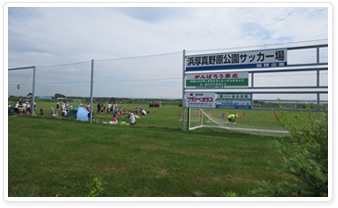 Hama-Atsuma Field Park is located facing the national highway along Route 235. 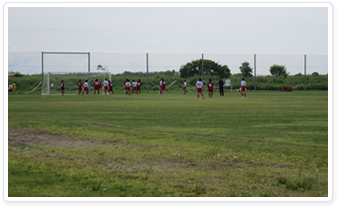 A full-fledged soccer fields with three sides, all natural grass are equipped. Can be used at a lower rate than even private sector in Hokkaido. In addition, rest house and toilet are maintained next to the ground, so as parking area for drivers. Also recommend to walking because of walking paths where you can see the seasonal wild flowers too.